Gel eyeliners doesn’t have the tendency to stay perfect on my eyelids. They always smudge at the end of the day and I look like my favourite animal, the panda. I remember reading how good this eyeliner was ages ago so had decided to purchase this. I had forgot to purchase the brush too as it also had goo reviews. In the end, this didn’t disappoint! 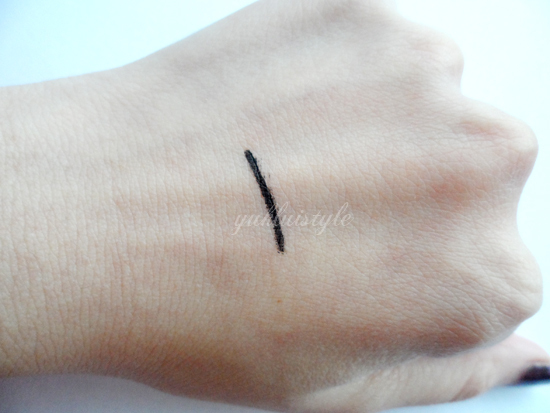 I’ve tried various gel eyeliners from drugstore brands to high end. 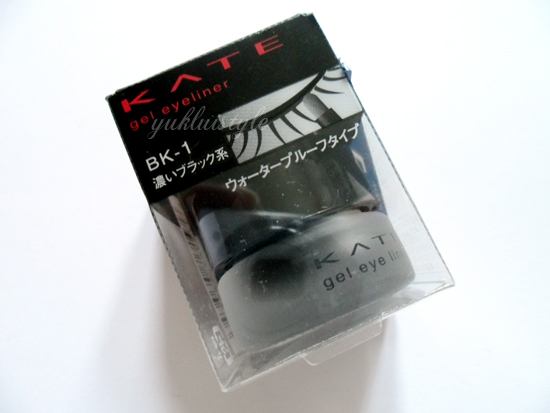 I must say, this was the best I have tried for oily eyelids. The application was a lot smoother. Easy to apply. It dries matte and quickly once it is on the eyelid so you do need to apply fast and lasts all day without smudging. Not even in the outer corner as I do get watery eyes! Even better. It is waterproof. No fading or flaking. Doesn’t transfer on my eyelids. However, you do need a good makeup remover to remove this. This black is black enough for me. Great opacity. Other gel eyeliners aren’t usually black enough for my preference. I have tested how good it was against rubbing. After it had dried, I rubbed it gently and harshly and nothing is moved or smudged. Stays put. It is a small glass pot and will last you ages. Very afforable as compared to the drugstore brands here in the UK and high ends. Could only purchase this online as it is only available in the asian market which means tha it’ll be more expensive online and will be paying more than the price of drugstore brands. I will repurchase this. 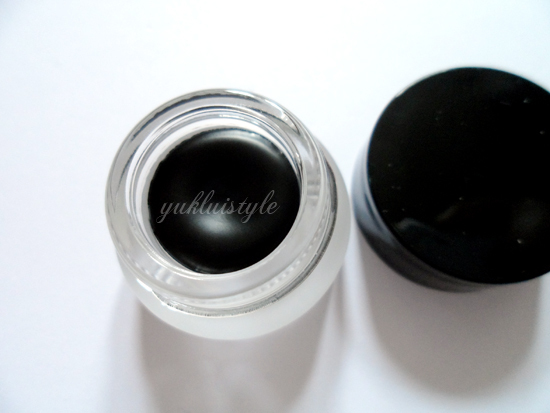 EDIT (16.12.12): This will smudge depending on what concealer I use. Quite disappointing. Probably will not purchase again. Sad times. Previous Post InLoveWithFashion 50% off and FREE WORLDWIDE SHIPPING! Ah, this is music to my ears! I've always put off trying gel eyeliners because I just knew nothing would stay on my oily eyelids but this sounds perfect! 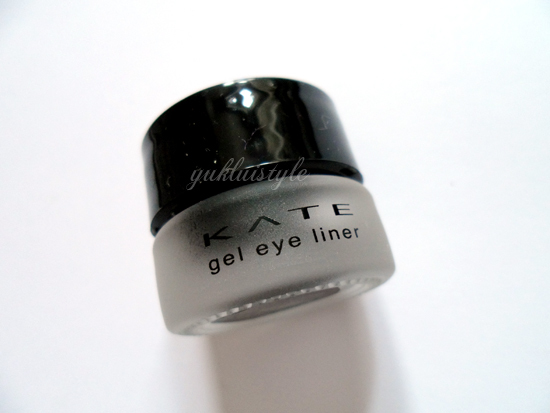 I love Kate products for the most part! They are usually great quality!